Why did you choose finance as a career? I have always been interested in how businesses work and felt finance was the place where you could make the biggest difference to how an organisation operated. I started off in the private sector and worked for one of the "big four" accountancy firms, mainly auditing the public sector. It was really interesting, but after a while I started thinking about how I could use my experience and the best practices I had learnt to help the charity sector. Who has been the biggest influence on your career/life so far? My late grandfather was a community leader and a successful businessman, and probably the person who inspired me the most. He told me that you had to try to make the biggest difference wherever you saw the greatest need. What made you work in the charity sector? The public sector is the backbone of the UK, but charities have increasingly needed to plug the gap where the government is stretched to deliver – at home and abroad. Yet, even as charities step up and provide a critical lifeline to more and more people, the existing system leaves them exposed and unsupported. If the public sector makes a mistake, the government will come to its aid and bail it out. Charities do not have this luxury. If they make mistakes, they risk being shut down. I therefore decided to shift focus and set my sights on strengthening the aid sector. This has given me the chance to see and experience things I would otherwise never have done. What is the proudest moment of your career so far? 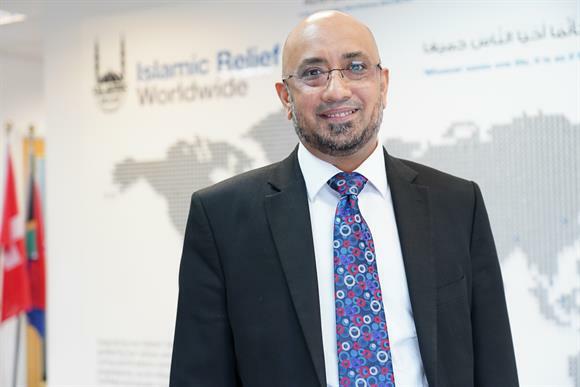 A real highlight has been helping to expand Islamic Relief’s micro-finance work, with almost 100,000 men and women now having received loans from the charity to start, grow or support their businesses and communities. I was able to travel to Pakistan to see how these loans were transforming lives. I met a woman who used the money to start a clothes embroidery business and a man who made decorations out of things people had thrown away. What do you do outside work? I like to spend time with my family and go to restaurants, the theatres or the cinema. I also enjoy swimming and running.